One of the leading voices in contemporary American poetry. A new poetry collection of startling beauty and thought by a great American poet. 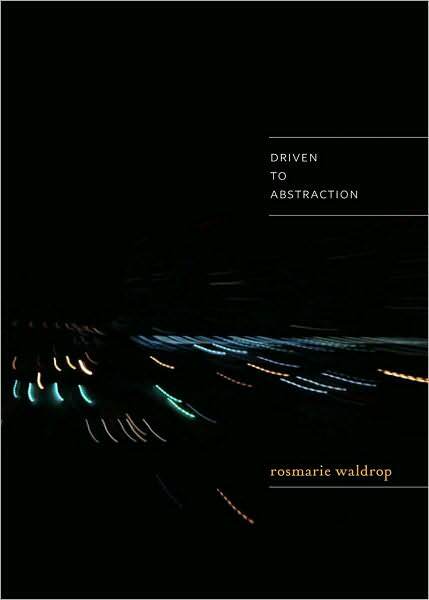 Driven to Abstraction is Rosmarie Waldrop’s sixth collection of poetry with New Directions. The first of its two sections, “Sway-Backed Powerlines,” consists of five sequences of prose poems whose subject matter ranges from voyages of discovery and the second Iraq war to geometry, memory, and the music of John Cage. Part two, the title sequence, investigates the tendency to abstraction in our lives which, in the West, began with the Renaissance introduction of zero into arithmetic, the vanishing point into perspective, and imaginary money in economics. Driven by the tension between abstraction and the concrete, and written in the shadow of ongoing wars, these poems are among Waldrop’s most engaging and thrilling works to date, the writing of a master poet at the height of her creative powers.